Wasps are difficult to live with, because they are a danger to your family. They can attack in large numbers, creating a dangerous situation for you and anyone else who is nearby. However, there are a number of DIY preventative and elimination measures you take, such as Wasp Killer Sprays or Wasp Nest Foam. Wasps are difficult to live with, and can be dangerous to try and remove from your home. However, insecticide sprays can help control a wasp infestation in your home. Sprays with a rapid knockdown will kill wasps instantly on contact. Other sprays provide a long-lasting protection and will kill any wasps that land on the treated surface. Wasp killer powders are ideal for providing continuous protection against wasps. These can be sprinkled on surfaces where wasps like to congregate and will eventually kill all wasps that walk on the sprinkled powder. Using in areas where they are most often seen will ensure their numbers will quickly diminish. Individual wasps are bad enough, but the real problem lies with wasps nests. They can grow to be bigger than a rugby ball, containing up to 5,000 wasps and need to be dealt with immediately. 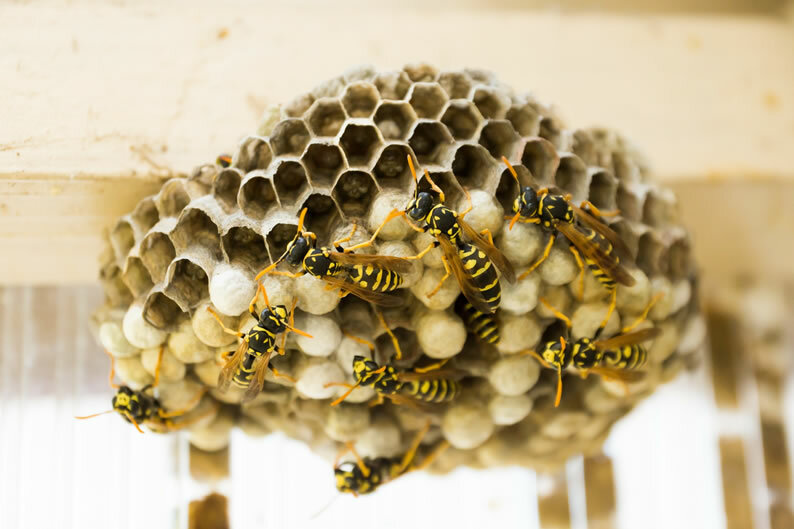 We recommend using a powerful Wasp Nest Spray to target the source of a wasp infestation. Professional Use Only. Digrain Control Professional Flying & Crawling Insect Killer Spray combines instant knock down, with long lasting protection. A simple fogger device, once set off will kill all wasps in the room, including in hard to reach cracks & crevices. Protector C is an insecticidal surface and space spray, which kills wasps & other flying and crawling insects.